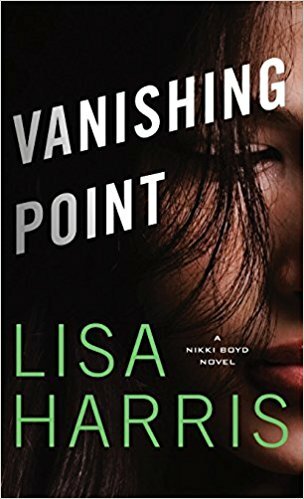 When I saw Lisa Harris had a new novel out, I immediately jumped into “Vanishing Point.” I didn’t really even read the description. Honestly, less knowledge is better when I start a book so I can be fully invested in the story unfolding as it’s told. But I also don’t handle well crime plots that involve kids, as this book does. Hello, motherhood! Anyway, I still really liked this book. So much so, I read it all in one day in October when we had a slow Saturday at home. I even stayed well past my bedtime because I needed to know if investigator Garrett Addison and FBI agent Jordan Lambert caught the killer … and admitted their love for one another. The story – both the romance and the suspense of an ongoing serial crime – was told over many years, which worked well. The characters are likeable and face questions about God’s presence when bad things happen. Subplots include losing loved ones to natural causes, strained family relationships, and how grief bonds and divides. Garrett Anderson’s first week on the job with the Tennessee Bureau of Investigation involves his team being called out to a murder scene of a young girl who is the third victim in a string of disappearances that seem to be related. The FBI is pulled into the case to help, and Garrett finds himself working with Jordan, an agent who he once loved. The crime count reaches six (see, squeamish! ), and Garrett blames himself and believes he doesn’t have what it takes to be an agent. Of course, what he discovers is that while he wants to be done with the case, the suspect isn’t done with him – or his love interest. So, yeah, I wish I was more prepared for what I was getting into (which was my own fault), but I was glad I read it and closed my Kindle satisfied in many ways. in “Vanishing Point,” bestselling and award-winning author Lisa Harris unveils an unforgettable story of a case that has haunted the public and law enforcement for more than a decade. Fans of the Nikki Boyd Files (a series of three books that’s certainly worth reading first!) will thrill to finally discover what actually happened to Nikki’s sister, Sarah. New readers will become fans after devouring this chilling tale. This 320-page paperback book officially releases today (Nov. 7, 2017) from Revell. Lisa Harris is a Christy Award finalist for “Blood Ransom” and “Vendetta,” Christy Award winner for “Dangerous Passage,” and the winner of the Best Inspirational Suspense Novel for 2011 (“Blood Covenant”) and 2015 (“Vendetta”) from Romantic Times. She has more than thirty novels and novella collections in print. Learn more about all those titles at her author page. Lisa and her family have spent almost fourteen years working as missionaries in Africa, where she runs a small non-profit organization that works alongside their church-planting ministry. The ECHO Project promotes education, compassion, health, and opportunity. When she’s not working, Lisa loves hanging out with her family, cooking different ethnic dishes, photography, and heading into the African bush on safari. For more information about her books and life in Africa, visit her website. I received a free electronic version of “Vanishing Point” from Revell in exchange for an honest review. These opinions are my own and Lisa Harris remains one of my favorite authors.